The Wayne and the Heart of Belltown at Risk….Again! 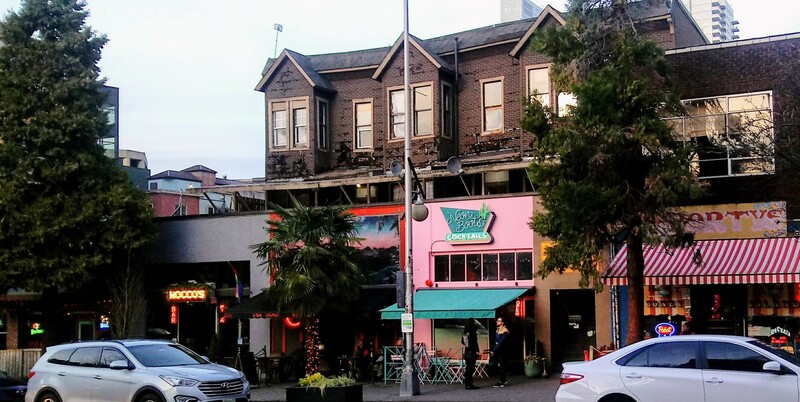 Many people reading this post will have already heard something about the Wayne Apartments, Belltown’s funky but beloved 3-gabled building that houses Neon Boots, Lava Lounge and Rocco’s Pizza and that is next-door to Shorty’s. But what is up with the Wayne? Is it going to be torn down? Didn’t we already go through this? We know everyone has a lot of questions. Even WE have a lot of questions! But we’ve been working hard trying to get some answers. So — in an attempt to sort things out for our fellow Belltowners, below is our best attempt at answering expected questions! Please let us know on our Facebook page if you have any other questions or comments!! What are the Wayne Apartments? 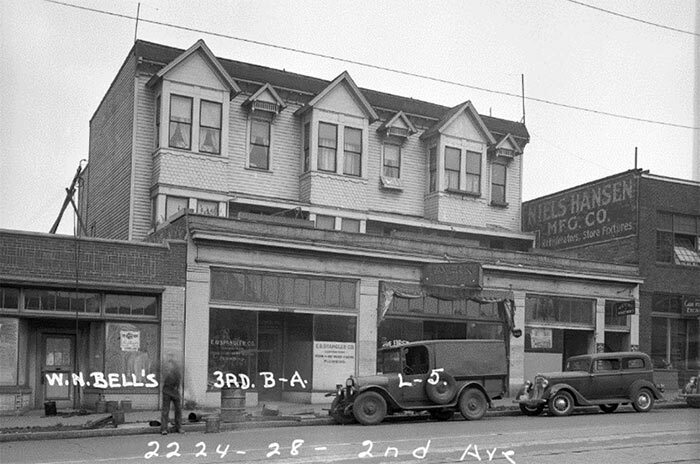 The Wayne gained notoriety and another place in Belltown history when in the fall of 2015, the community became aware that the building was planned to be demolished, along with adjacent buildings up to Tula’s. The owner just needed to past through Landmarks review, where they said the building’s condition was too poor to qualify for landmark status. However — with the support of more than 100 Belltowner’s the Board decided that the Wayne DID meet Landmark standards in a historic vote (see article here). Belltowners cheer following the Landmarks Board vote in Oct 2015 to approve the Wayne Apartments as an official City landmark. After the vote, Belltown had great collective celebration, and many thought the story ended there. So then isn’t the Building Already Protected? Yes and no. The building is a designated Landmark and the owners cannot do anything major to it without approval from the Landmarks Board. So What’s Going on Now? Over the past two years, the City has been working with the landowners, who has claimed since 2016 that it can find “no reasonable economic use” of the building. This is based on their finding that the costs it would take to rehabilitate the building would be more than the revenue it could generate after the rehabilitation. The City’s Historic Preservation Officer has signed a “Controls and Incentives Agreement” with the owners — Rain City Properties — that will remove all protections on the building, clearing the way for a developer to propose a nine-story apartment building on the site. Not approve the Controls and Incentives Agreement and forward its own recommendation on Controls and Incentives to the Hearing Examiner as provided for in SMC 15.12.520. 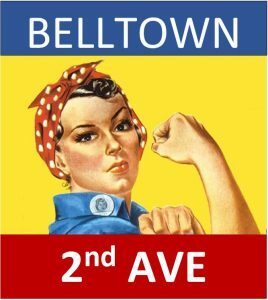 What are Friends of Historic Belltown Doing? Our priority now is to determine if the Historic Preservation Officer’s recommendations are supported by applicable law and substantial evidence in the record. While we have only had a few days to review the record, it is clear to us that the information provided DOES NOT PASS THE TRANSPARENCY TEST that we feel it needs to. We received the two-page recommendation letter, a two page “proforma” with no explaining text, and a pile of documents provided by the owners back in 2016. 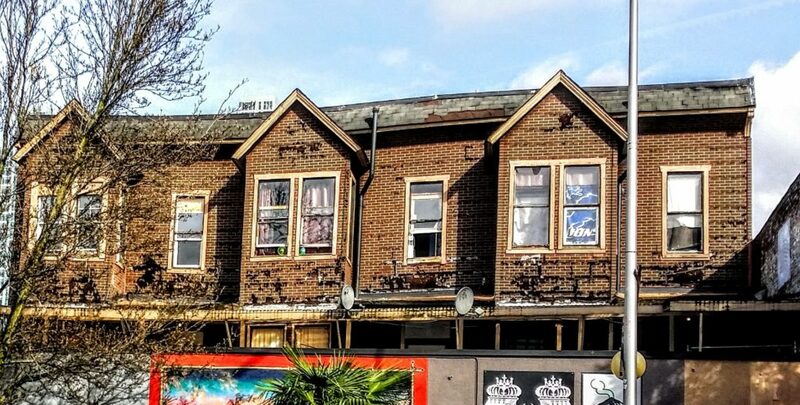 So for starters, we have REQUESTED A SIX-WEEK EXTENSION to allow adequate time for public review of and comment on the record and associated recommendation to allow the building to be torn down. If given the time, we will work with our establish partners, including Historic Seattle, to identify options that we believe would allow the owners to receive their required “reasonable return” without the unreasonable loss of one of Belltown’s most important blocks in terms of community identity, community and sense of place. If not given the time, we will have to decide if we wish to challenge the Agreement with the City Hearing Examiner. To win a challenge, we would have to show that City was “clearly erroneous” in determining that it could not protect the building under the Landmarks Preservation ordinance. What Should the Belltown Faithful Do??? This is a difficult question, because what we need now are good lawyers, rather than crowds of angry Belltowners. BUT WE WILL NEED COMMUNITY SUPPORT. We just don’t know how to best channel and focus all of that wonderful Belltown energy and love that we are trying to protect and enhance. So PLEASE STAY TUNED! And you will hear the CALL TO ACTION. For now, you can email the City Preservation Officer, Sarah Sodt, and let her know that you WANT MORE TIME TO ALLOW THE COMMUNITY TO CONDUCT AN INDEPENDENT REVIEW OF THE RECORD AND THE CITY’S FINDINGS regarding the “reasonable return” calculations. If you do email Sarah, PLEASE BE POLITE AND COURTEOUS. She is a very nice person and has been very helpful to Friends of Historic Belltown over the past two years. Being angry won’t help. But ASKING FOR AN EXTENSION will help!!! Dear Ms. Sodt. Please provide an extension to the public meeting for the Wayne Apartments Controls and Incentives Agreement to allow local businesses, community groups, residents, and the general public time to review, understand and make informed comments regarding the agreement. What Happens if we lose protections on the Wayne? If the City approval to remove all protections stands, then we are still not done. Friends of Historic Belltown, together with other neighborhood groups including Project Bellown, are working to establish a BELLTOWN ARTS AND CULTURE DISTRICT centered on the block that the Wayne now stands. It is our hope that the City of Seattle — in collaboration with landowners, local businesses, and the entire Belltown community — will work together to create a proactive, comprehensive plan for the Belltown ARTS AND CULTURE DISTRICT. So we know that’s a lot to take in! But please let us know on our FaceBook Page if you have any questions!